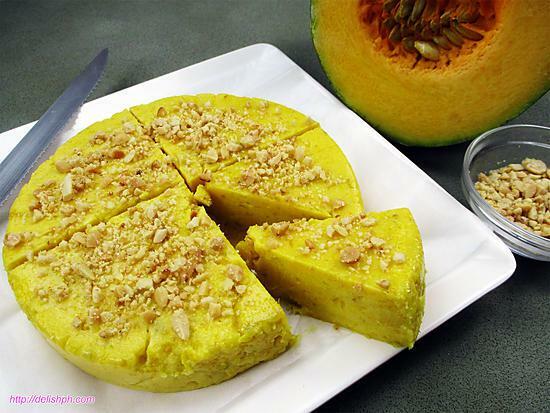 Maja kalabasa is a healthier version of Maja Blanca. If you are looking for a healthier and guilt-free snack dessert for your family and the kids. 2. Put them in a pot first, then add a good amount of water. Then turn the fire on. Don’t drop the squash in a boiling water, they tend to cook unevenly. 8. Pour in the batter/mixture. Stir continuously until it starts to become fluffy. Remove from heat right away. 9. In a pan or a mold, pour it in while it’s hot. Spread evenly and chill for about 30 minutes. 108Guest, Guest and 106 others find that it looks really good.